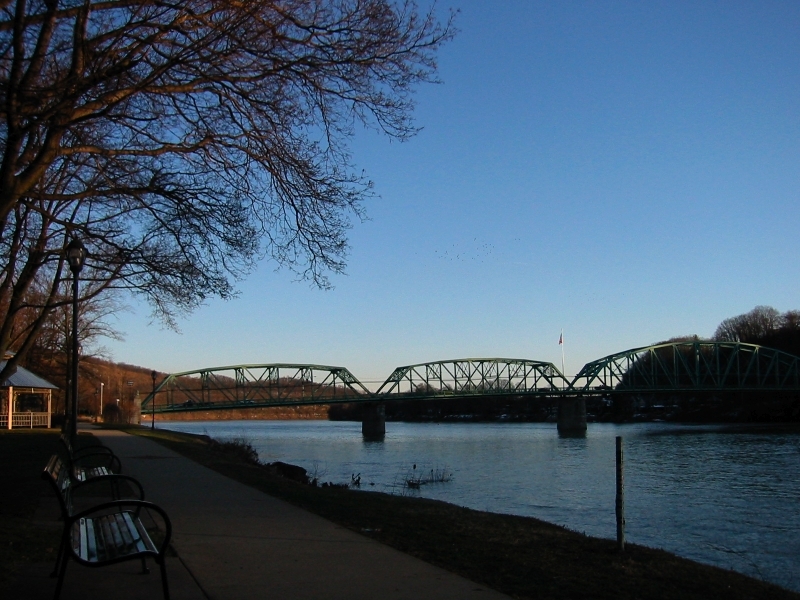 I arranged to look at the first rental house in the evening, then bought a sandwich in Kittanning and went to the Riverfront Park to eat. The view was beautiful and Bode enjoyed socializing with a cairn terrier after leaving his calling card on every tree and post he could find. Since I joined the choir at St. John’s in Kittanning, I find that the river reminds me of being Pere Marquette Park which was just across the street from my apartment in Milwaukee. It was cold once the valley was in shadow, so I returned to the car to wait until time for choir practice. I learned that dogs weren’t allowed in the park until geese moved in. The borough decided that dogs were less troublesome, so this may be the first dog park in Armstrong County.